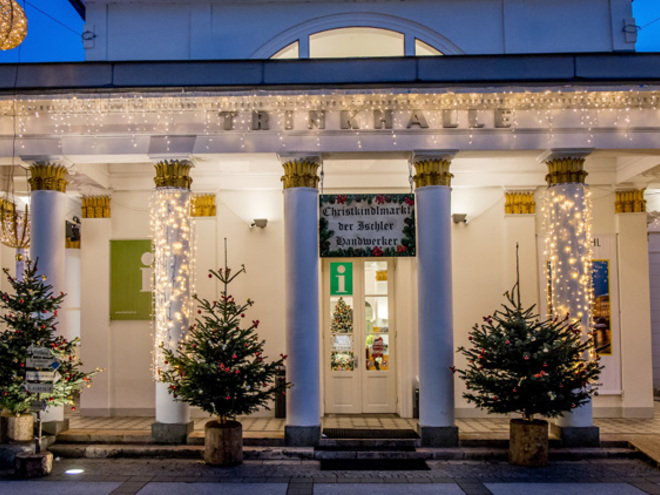 Every year the Ischler craftsmen invite visitors to the historic drinking-hall to enjoy their traditional Christmas market. Look forward to original "hand g'machtes" (hand-made) products from the Kaiserstadt, to typical culinary delicacies as well as to a varied supporting programme that is full of atmosphere. Far beyond the borders of the Salzkammergut, the artisans of Bad Ischl are well-known for their mastership in blending use with ornament. This is precisely what is considered craftsmanship in Ischl: an art that is preserved in all its glory here and presented in the festively adorned and elegant Trinkhalle (pump room) at Christmas time. The artisans of Ischl view this as much more than simply showcasing their work. Awaiting you at the Christmas Market is in fact an experience to delight all the senses: sights, smells, flavours and sounds.